SolarEdge Solar Systems Direct, SAVE MORE (installed prices) - Perth WA. Ultimate Optimisation. 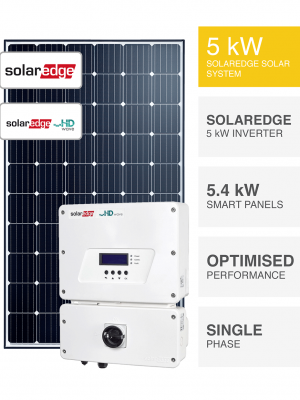 PSW Energy SolarEdge solar energy systems are built to deliver the refined performance you require ensuring a future-proof design, supreme functionality and the ultimate in energy savings. Battery Ready? It goes without saying, SolarEdge solar inverters are equipped to ensure a battery compatibility with AC and DC coupled options for single-phase and AC coupled compatibility for three-phase power supplies. Your extreme future-proof solar energy system starts here. Want more? Integrate the SolarEdge Energy Meter to view your entire energy profile and truly master bill reduction through remarkable real-time insight. SolarEdge solar systems by PSW Energy are constructed to ensure peak performance, high safety, superior warranty and your long-term satisfaction from a high yielding return on investment. Save More every day.